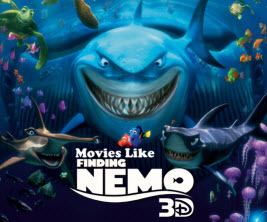 Best Animation Movies Like Finding Nemo '+g+"
Finding Nemo is an 2003 animated comedy-adventure by Andrew Stanton. The movie follows Marlin (Albert Brooks) an over-protective clownfish along with Dory (Ellen DeGeneres) an absent-minded regal tang sets out on a journey to search for his abducted son Nemo (Alexander Gould). If you like to watch more animation movies like Finding Nemo then check the list of recommendations for more films similar to Finding Nemo below. The Gruffalo's Child (2011),.....if you can think of more, then don't forget to mention it in comments.